We are in the midst of yet another heatwave, with temperatures climbing as high as 31°C in the shade and inauspicious thunder storms hovering above our heads. It's a lot for our normally frost-bitten toes. My beloved flat peaches aka Saturn peaches made it to the shops very early this summer. I've been enjoying them since the middle of June. Plain. In salads. Baked (which I will show you soon). Poached. 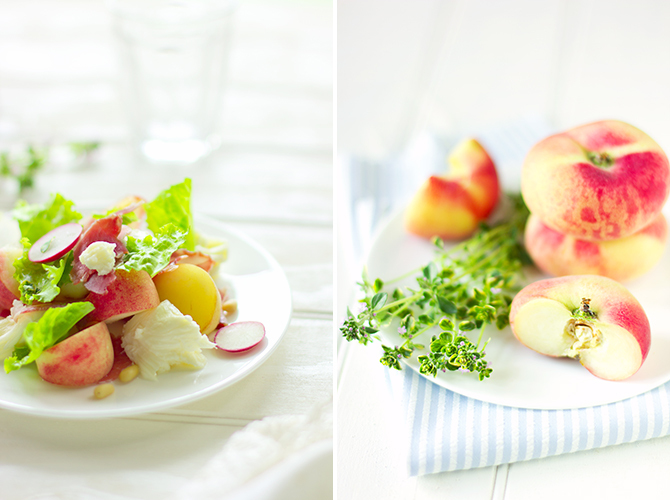 Summer is a great time for salads. Here's a simple one with peaches. Gently roast the pine nuts. Cut or tear all the other ingredients into bite sized pieces, toss everything together, drizzle with the dressing and scatter the pine nuts over the top. *I used sea-buckthorn, lime and mustard dressing which can be seen in the bottle in the last photo. Imeilus blogi, nii hõrgutav ja samas armsalt delikaatne! Egas asjata öelda, et söömist alustatakse silmadega. Me too me too, I've been gorging on flat peaches this year as they've been available in abundance for much longer this year than previous years and for much cheaper too. 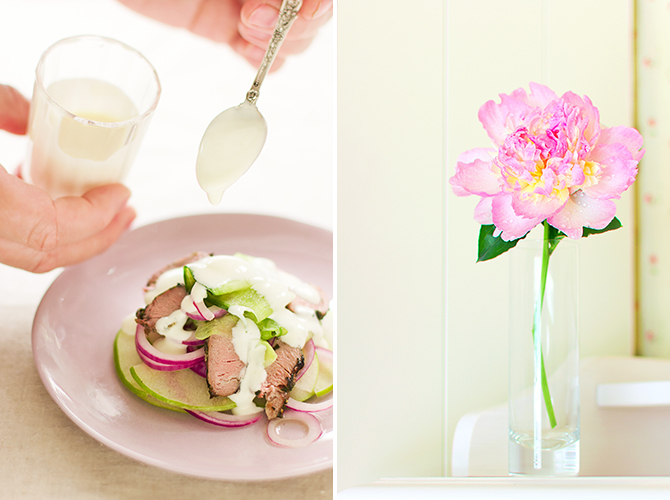 Love your photography; the food styling, lighting and photography itself is just beautiful. peach salad is my new discovery and I love it. here in Italy we really enjoy it with rocket and goat cheese. but I really want to try this one, especially because the flat peaches have an absolutly unique flavor. and, oh, your photos are amazing! Elisa, kui tore avastus! Mõtlesin juba, et jäädki vaid flickr'isse pesitsema:) Imeilus blogi. Fotod on fantastilised, toidud ahvatlevad. Lihtsalt kaunis. 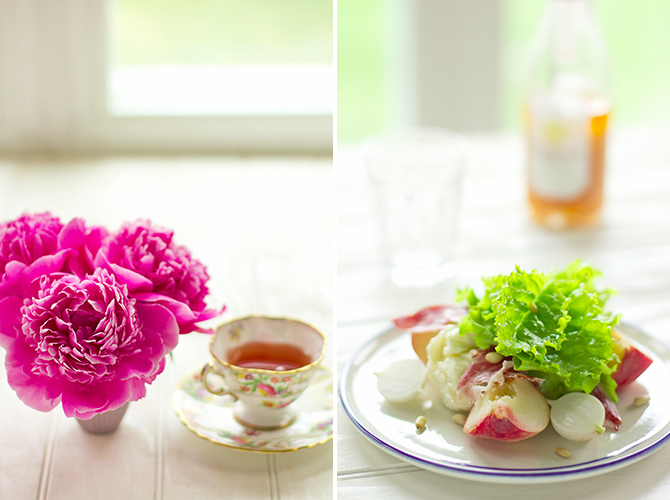 What a delicious dish and beautiful photos! So great!